GIANTS CAME, GIANTS SAW, GIANTS CONQUERED. 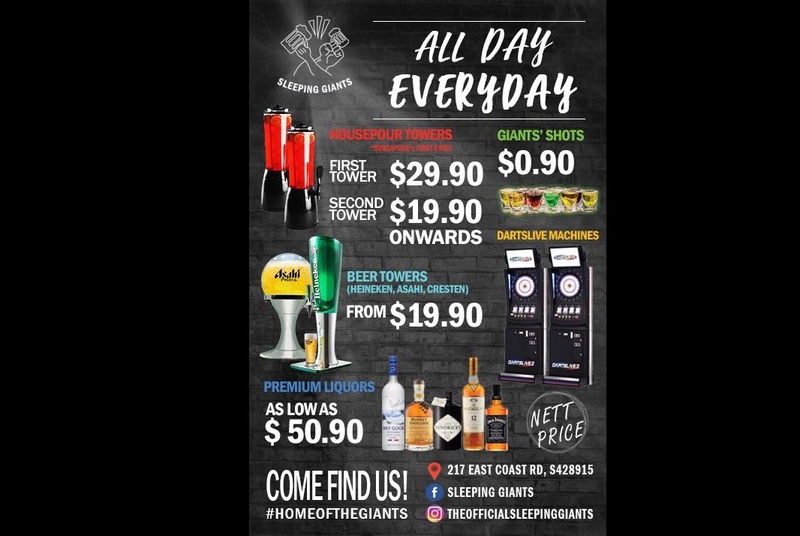 Bringing a whole new concept of HOUSEPOUR TOWERS from just $29.90, join us for the best drinks and CHEAPEST BEER TOWERS prices all day everyday only at the BEST IN THE EAST. Because when we promised giant value, we meant it! Come on down today for a GIANT celebration and trust us, you will not regret the GIANT hangover the next morning. Have a blast without hurting your wallet! Next Article PLEASE HELP TO SHARE/FIND! VINTAGE VESPA STOLEN!